Save AED 45 (69.23%) – Earn 2 Shukrans What is Shukran? Shukran is the Landmark Group’s award-winning loyalty programme in the Middle East, which allows you to earn Shukrans when you shop any of our brands. 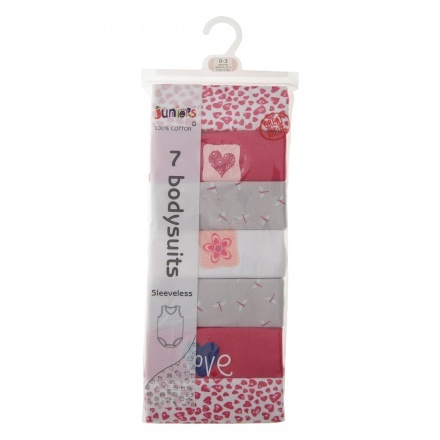 Ideal for wearing through the day, this set of seven bodysuits is a must-have for your adorable baby. 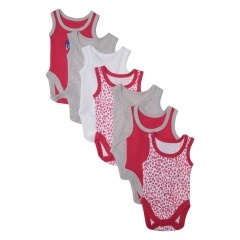 Featuring a sleeveless design, it comes with a push button closure to hassle-free wearing.